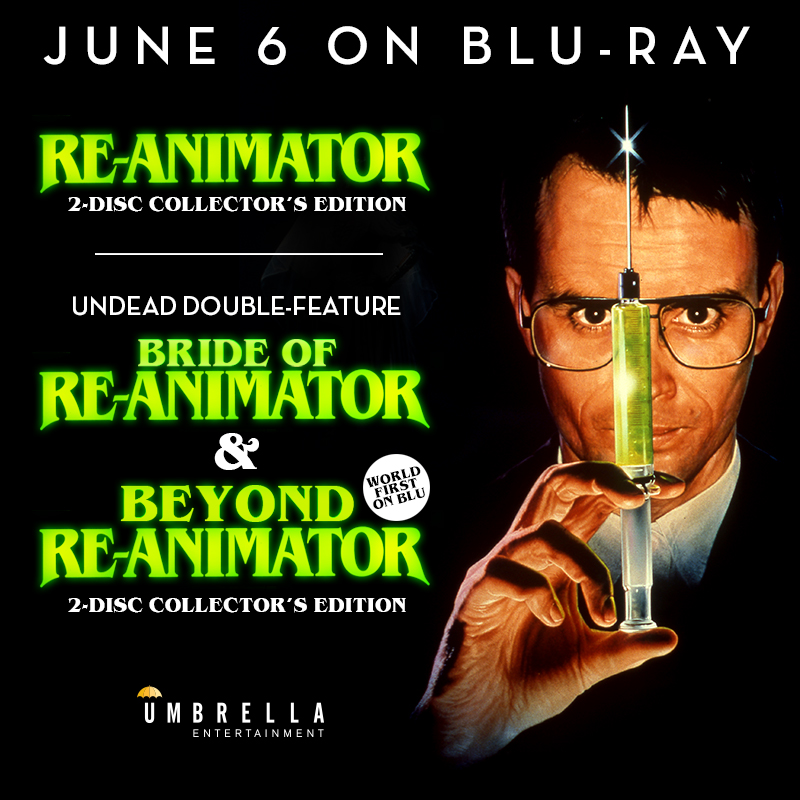 Umbrella Entertainment, the Austrailian dvd/blu-ray label that has been bringing us films and documentaries that companies in the States won't release, has announced that they are bringing Brian Yuzna's Bride of Re-Animator and Beyond Re-Animator to blu-ray, as a double feature, on June 6th. This marks the first time that Beyond Re-Animator will be released on blu-ray anywhere in the world. Details have not been announced just yet, but we can expect the film to be in 1080p and have lossless sound options. We are hoping that Umbrella ports over everything from the 2003 dvd release from Lionsgate as well as a remastered version of the unrated version of the film as the dvd was the R-rated version. Umbrella is also releasing the first, and best, Re-Animator film on the same day. That edition is going to be a 2-disc affair. Again, not much information to be found on that release, but they will probably use the same master that Arrow used for their blu-ray release from last year. We will update this post when more information is made available.